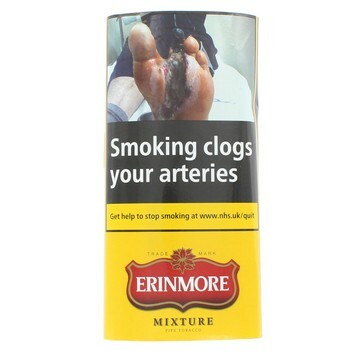 Buy Erinmore Pipe Tobacco at cheap prices from Cigar Connoisseur based in the UK including Erinmore Balkan Mixture Erinmore Mixture and Erinmore Flake. The mixture is a loose cut blend consisting of ripe, orange Virginia leaf tobaccos, a touch of mild Burley and sweet Black Cavendish. The mixture is an easy, but slow burning blend as it has a high moisture level. 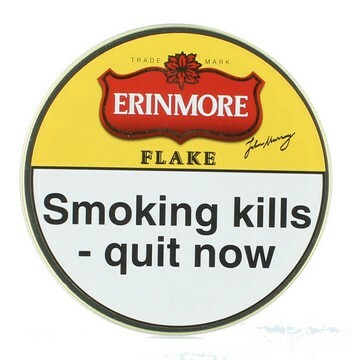 The blend consists of mature Virginia, mellow Burley and sweet dark air cured tobaccos. 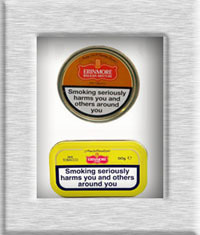 It is pressed into cakes, aged and cut into slices providing a mellow and cool smoke.